To discuss any aspect of the community garden, contact Margot Meredith by phone (0415 926642) or by email. At Watsonia Library, Ibbottson Street, Watsonia. 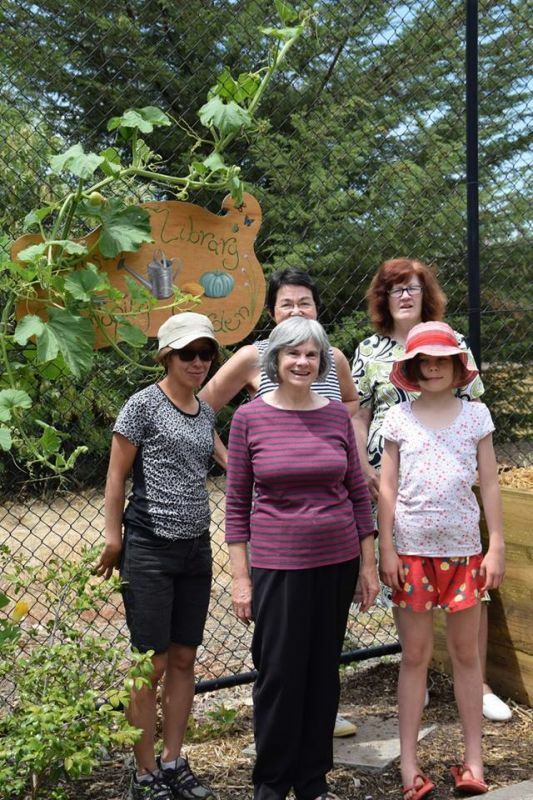 With increasing awareness of climate change, a group of Watsonia residents decided to focus on producing some of their own food in a sustainable way. 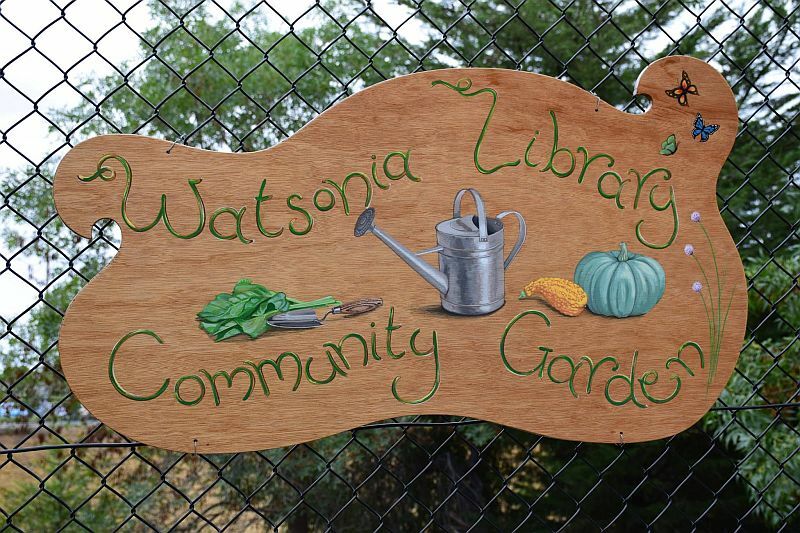 The Watsonia Library Community Garden has been producing organic food since late 2014. The garden is based on a design influenced by Permaculture. The three main principles of Permaculture are “Care of the Earth; Care of People; and, Re-distribute Surplus”. By following these ideals, they aim to improve the fertility of our soils while growing a bountiful produce to share with the local community. 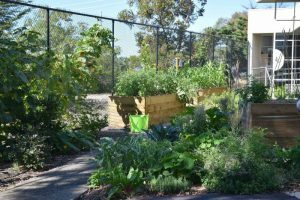 The garden is a site for sharing and learning as they have regular guest speakers on topics such as seed saving, worm farming, composting and the history of significant trees in Banyule. The garden area complements other programs offered by the library, for example a workshop on edible weeds and a demonstration from a fire twirling group! 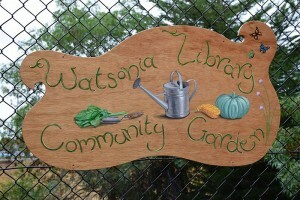 A group of residents meets every Tuesday from 10-11am to tend the garden and to share a cup of tea. It is a social occasion allowing time to share tips on how to grow and prepare home grown produce. The foundations for an effective community garden have been completed with construction of a garden shed, worm farm, compost system, seed saving and raised garden beds. The garden is small in size but significant to those who care for it.